The title says it all. This is the classic and most essential work of Apple history, and an essential tool/reference for anybody who really wants to get to grips with the company since its inception. It’s a chronological narrative, which means you must expect some repetition, but you’d expect that in order to put what has been a pretty complex series of events into context. There’s gem after gem of Apple knowledge, stories and events which we’d argue any Apple watcher will want the inside scoop on, including those hidden Easter Eggs inside some iterations of the early Mac OS, telling quotes from people behind the company itself – we could go on, but suffice to say, if you’re fascinated by the Apple story you really should own this book. Buy it here (UK, £18.49). I was instructed to read this way back in 1999 when I began my new assignment, reporting the news about Apple. I still consider this to be an essential read for anyone trying to get to grips with what the company is about and all the significant business dealings and strategic decisions which led it to where it was at the close of the last century. This title is now pretty hard to get hold of, though there’s a few available through Amazon. That’s a shame as this is a brilliant piece of writing which begins deep in the heart of Santa Clara Valley and the early lives of Apple’s two founders, Jobs and Steve Wozniak. The author takes you deep into what shaped the lives of the two Steve’s, both the post-60’s radical counterculture of the HomeBrew Computer Club and what that meant and the early development of the electronics industry. 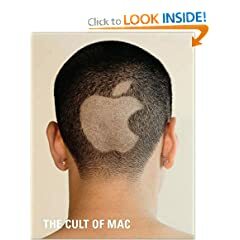 It’s a truly fascinating account which includes Jobs and his time at Atari, his relationship with Woz, the development of the company, the Apple I, the Mac, the fall and return of Steve Jobs and the launch of the iMac. Buy it here (UK, from £7.64). Part of the team which developed the very first Macintosh, Andy Hertzfeld has a unique insight into the political intrigue and motivation that led to that particular revolution in personal computer design. It’s a fascinating read that starts in 1978, when the developer/author purchased an Apple II to his work on the Mac OS and more. The book consists of a series of short posts Hertzfeld first published on his own website, www.folklore.org, but benefits from his first-hand involvement in these events which, arguably, shaped our times. There’s rare (really rare) full colour images and a whole lot more, including lashings of clear enthusiasm for the achievements and the meaning of the company itself. An impressive, engagingly-written window into a non-Windows world. Buy it here (UK, £12.34). 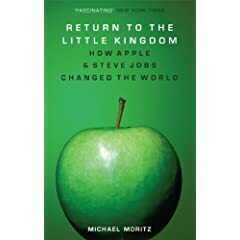 Published just a few days ago, this book has been heavily revised, being an updated version of the book (The Little Kingdom: The Private Story of Apple Computer) Moritz wrote 25-years ago. In conjunction with the others on this list the original title has been a tried and tested essential reference work that’s helped build and inform our understanding of the development of the computer company. Why we like it? It’s factual, it lacks spin, and was written way back in 1984 by Moritz, then at Time Magazine. It does a great job explaining the origins and quirks of Apple’s first decade, giving some clue as to how the company turned out the way it did. Later titles all cite this one, partly because of its accuracy and partially for the on the button job Moritz managed in capturing the essences of the personalities of the founders of the company and the challenges it faced. What do other people think? Andy Hertzfeld quite simply calls it, “One of the best books about Apple ever written”. We say, “buy this book”. O’Grady is one of the good guys, he’s been behind the much-loved O’Grady’s PowerPage for 14-years. In this book he proves himself once again, telling the story of Apple from its early inception all the way to the present day, naturally form his hard-bitten, regular Apple-watching perspective. You’ll learn how the company operates, why it is the way it is, share a little of what inspires it, and much about the impact of the Macintosh on the wider PC and electronics industries. Not only that, but it’s well written, easy to read, and furnishes a great glimpse into the modus operandi of our favourite computer company. Kahney is that rare combination: a hard-nosed news reporter who is also equipped with the imagination to articulate and express the essence at the heart of any trend. In this, his first of many books, he created something which is still seen as one of the essential titles for those who want to understand just how passionate people can become about what is (really) just a computer company. It’s a coffee-table title, sure, but its spiced with so many stories, images and well-researched tidbits that guarantee to keep you amused while becoming informed. This title is an excellent attempt at explaining and understanding just what it is that makes the Mac community tick. We like it a lot. If you think we should add any other titles please let us know what the book is called and why you think they should be included in comments below. Thanks.